Creativity springs from familiar and unlikely places. As an artist, of any medium, one can fluctuate between immediate compulsive reactions to life experiences in addition to falling back on a comfortable style or source of inspiration. In painting, and additionally while writing for this blog, there are times where I work on crafting the familiar, and other times where I see something and am suddenly compelled to produce something. Aikatsu! is a series that assigns inspiration to each of its characters fairly neatly, while accounting for both of these sources. Main heroine Ichigo Hoshimiya is a perfect example of this. She carries with her the love and support of her mother, represented by a rice paddle from her mother’s bento shop that Ichigo often brandishes, along with her own love of food. 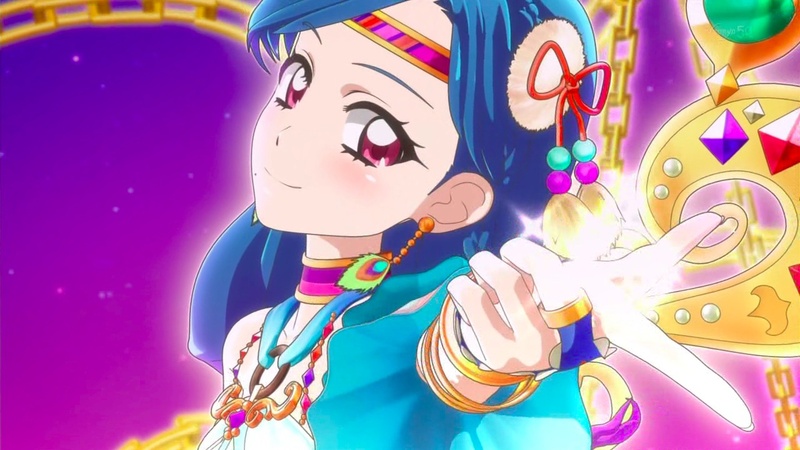 Initially, Ichigo is influenced after attending a Mizuki Kanzaki concert, but later finds out that her mother was also an idol prior to opening the bento shop. This revelation allows her to move forward with her own idol career, now using her mother as an additional source of motivation.